These high performance 8” diameter spot lights are constructed with a tough polycarbonate body and an adjustable steel mounting bracket. The glass lens is protected with a tough polycarbonate protector printed with the Terrafirma logo. This pair of superb lights represents even better value considering the complete wiring loom, relay and neat isolator switch that is included. 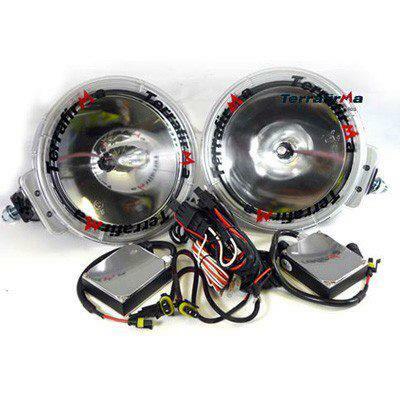 These mega performance 8" diameter spot lights use the same tough construction as the TF702 halogen lights but with the latest HID technology pure xenon bulbs. 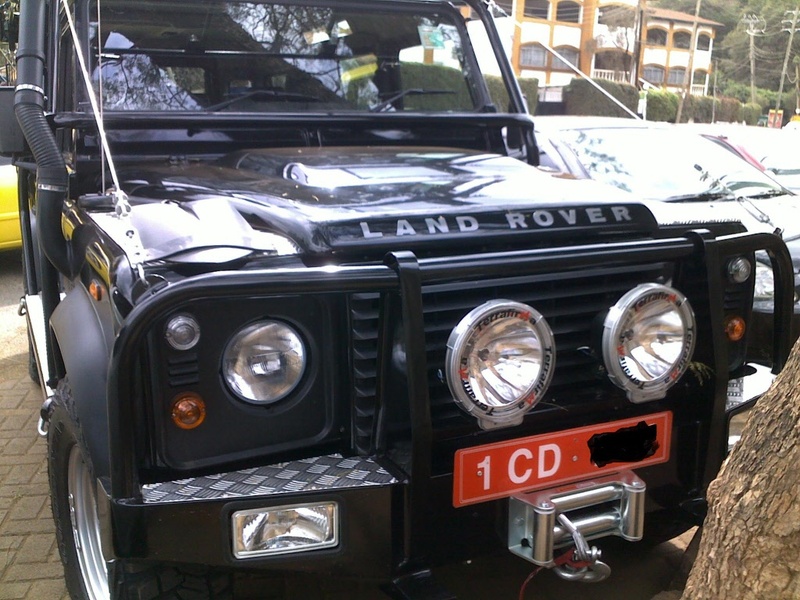 The light output of these lights is up to 3 times more than the average spot light whilst consuming half the power. 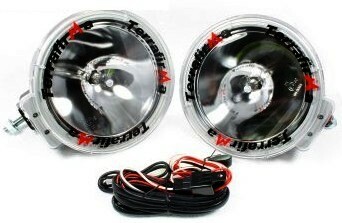 This pair of lights includes the complete wiring loom, relay, ballasts and neat isolator switch.